At One Express, we provide the most convenient Parcel Delivery service possible for our customers. We provide a full range of freight services online. Please email our freight team to book today! 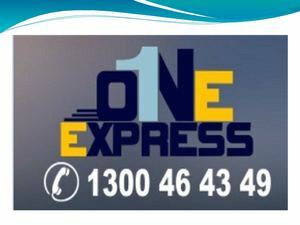 visit : http://www.oneexpress.com.au.